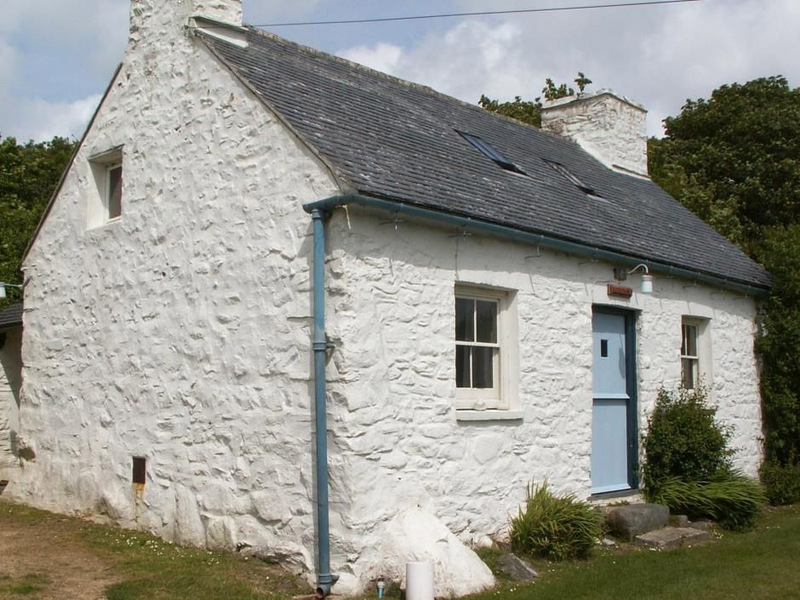 Garn Barcud means ‘Kite’s Cairn’ in Welsh and was originally a traditional Pembrokeshire farm workers cottage. This whitewashed cottage with its Welshslate roof, nestles under the hillside with exterior views towards Aberbach and out to sea. 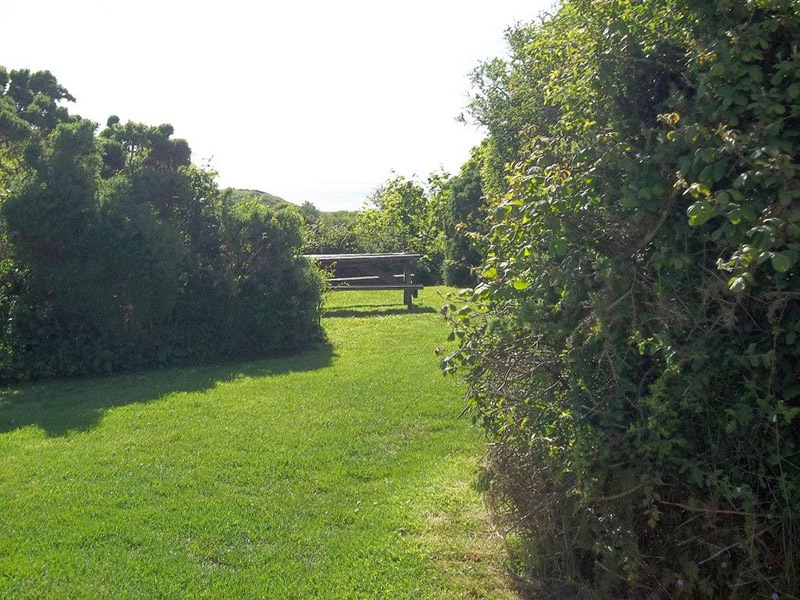 The passing foot path leads to Aberbach cottage and onwards to Aberbach beach and subsequently the Pembrokeshire Coastal Path. 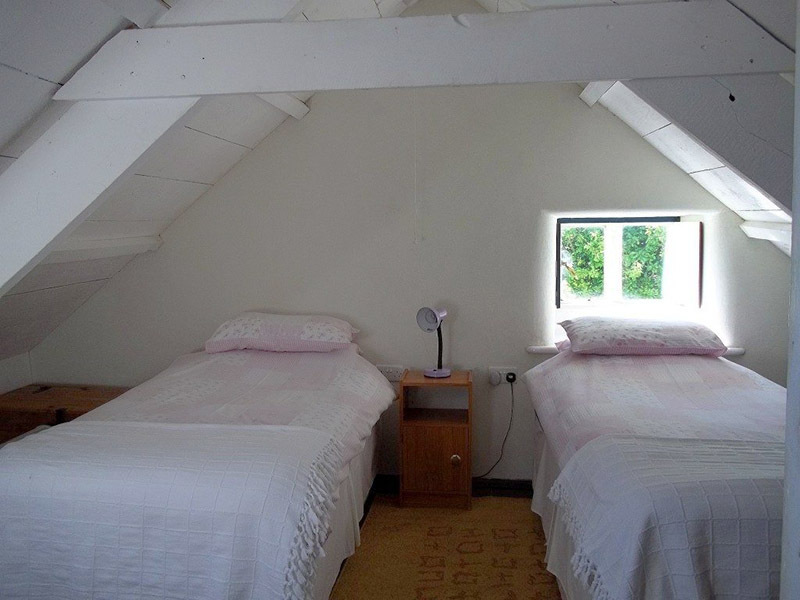 Families often book both cottages as they are ideally located for `get-togethers’. 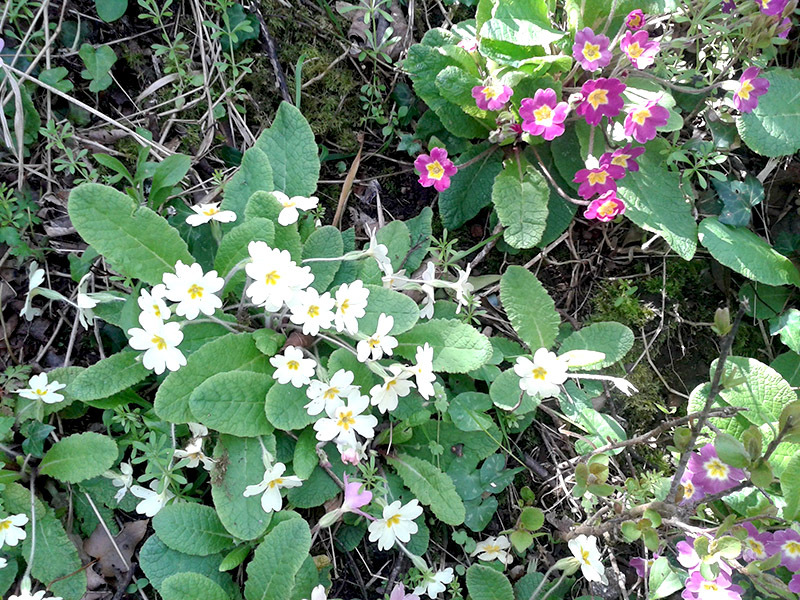 Explore the delightful garden tucked behind the cottage, or just relax on the terraced lawn. 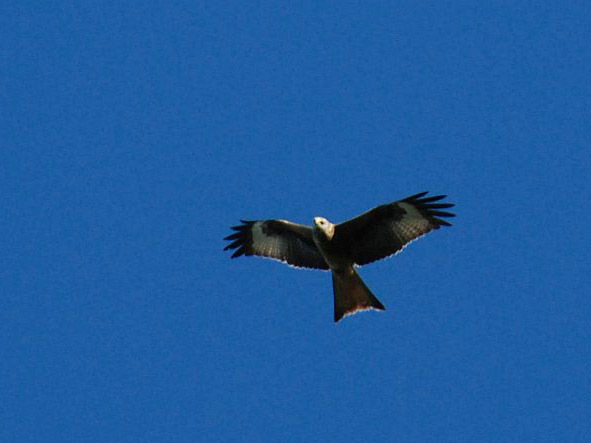 The valley is a wealth of flora, birds and wildlife. 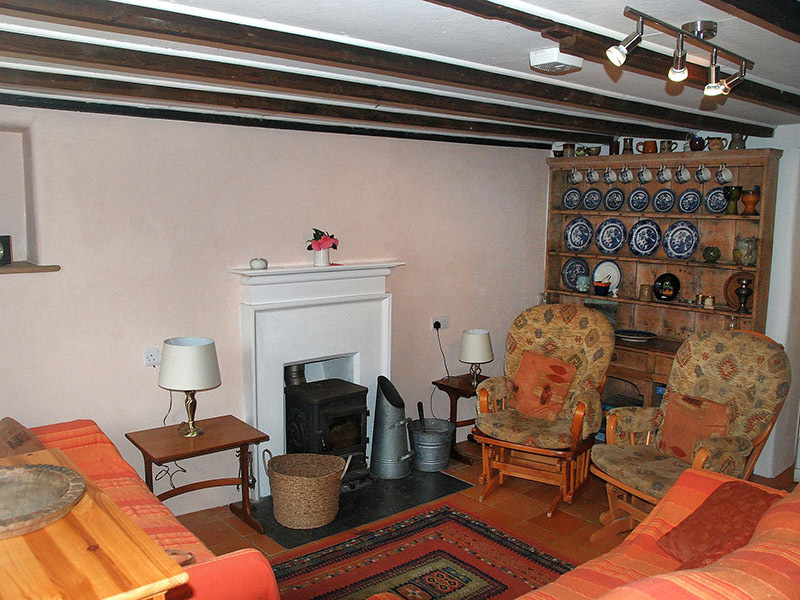 The Ground Floor of this traditional cottage has been opened out to provide a spacious living area with quarry tiles and under floor electric heating. Lounge furniture, Welsh dresser and wood burning stove. Radio/cassette but no TV. The kitchen area is equipped with electric cooker, fridge and microwave oven, dining table and chairs. 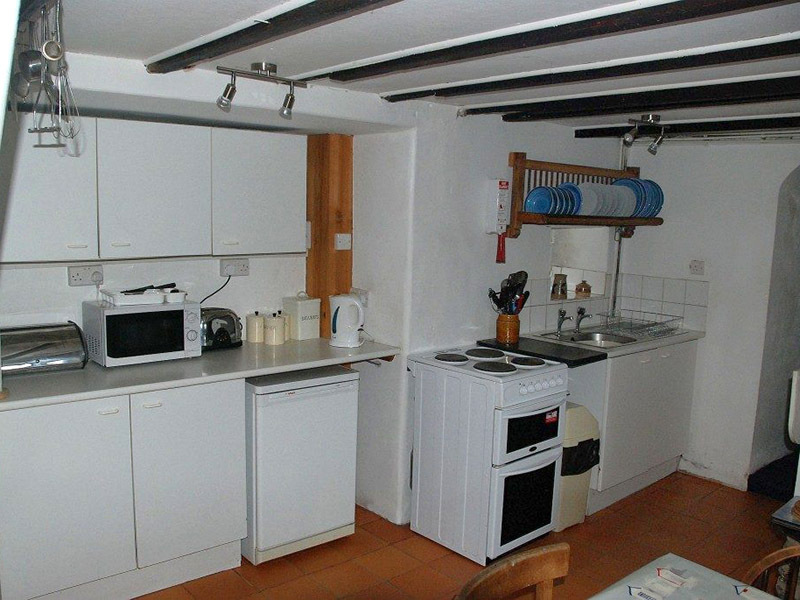 A freezer, tumble dryer and washing machine are stored in a utility area off the kitchen. There is also a shower. wc & handbasin in this area, ideal for showering after spending time on the beach! 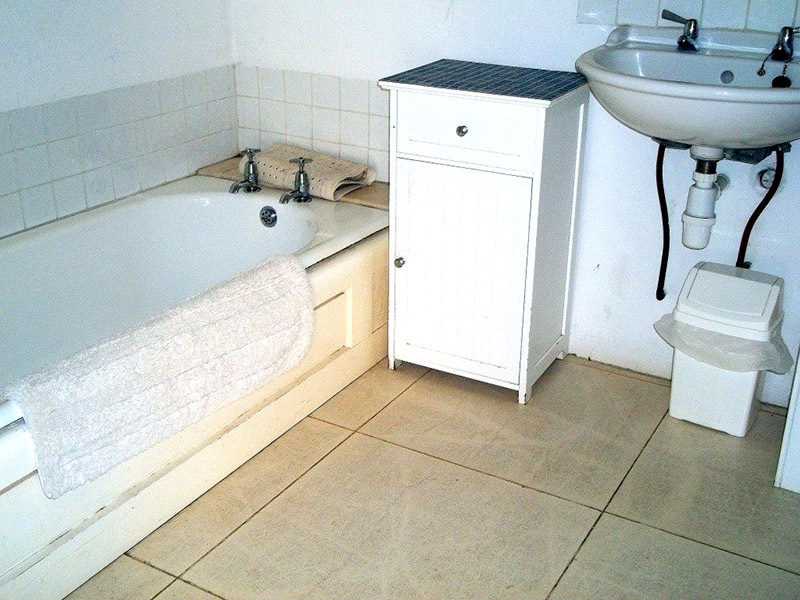 The ground floor bathroom with its limestone floor hosts a basin, bath and w.c. The slate floored hallway has a solid loft ladder leading to the garden room with twin beds and doors opening on to the terraced lawn. 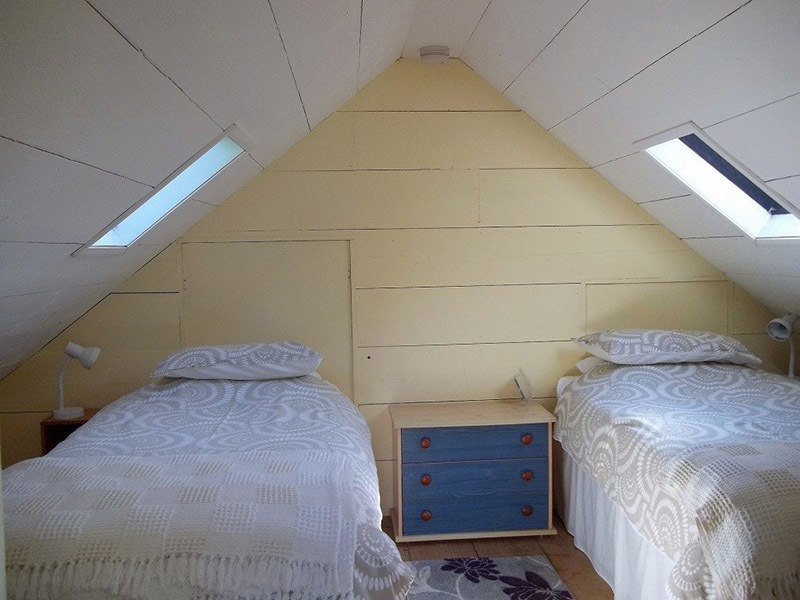 A second solid stairway leads to a twin bedroom with adjoining door to the third twin room. 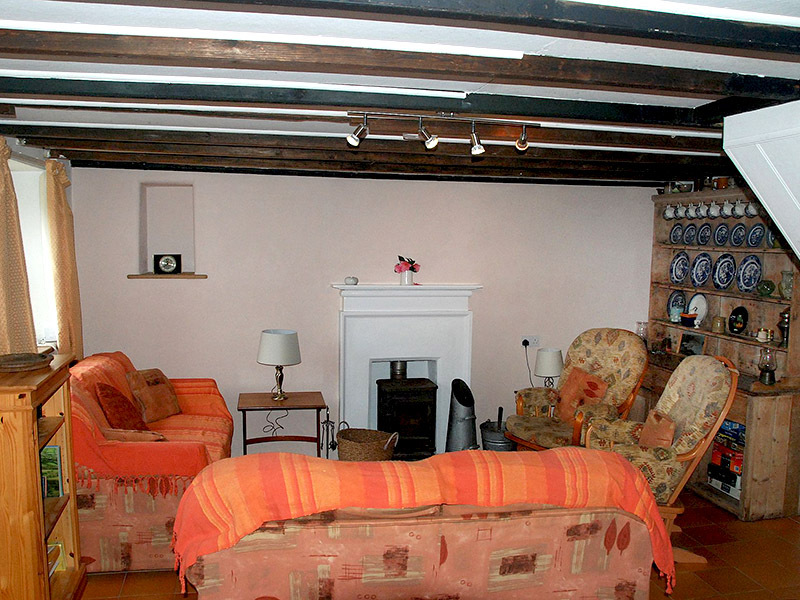 All bedrooms are within the eves of this delightful cottage.